August saw alt-R&B enigma Frank Ocean emerge from his shroud of hype and mystery to grace the world with two new collections of music: visual album Endless, and Blond(e), the follow up to 2012’s massively acclaimed Channel Orange. Ocean’s narrative flow runs deep honing in on issues such as race, drugs, love, and love-lost, and the albums subdued instrumentals are the perfect antithesis to the brash, carnival-like beats that have become the norm in contemporary hip-hop. 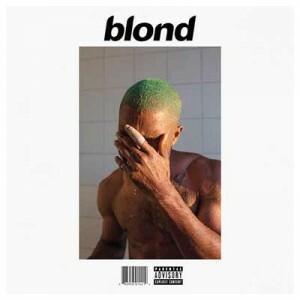 While it may lack some of the diegetic intimacy of 2011’s Nostalgia, Ultra., and the punch of Channel Orange, Blond(e) is a suiting contribution to Ocean’s already pristine discography. Is it the avant-garde masterpiece some were expecting after such a wait? No, but it’s a pretty solid album from someone with the weight of the pop music industry on his shoulders.